These might be the last release for July, which can be considered the end of summer. So farewell to the wonderful nearly endless hot days of lazing around reading manga, scanlating and watching anime. With the rainy days of the changing season to autumn comes the dreaded B2S mayhem. ｡ﾟ( ﾟஇ‸இﾟ)ﾟ｡ After this releasing things might be slowed to a trickle as most of our staff is going to be in school... We hope you like the updates to the blog (thanks to our new friend Alex) and forum. 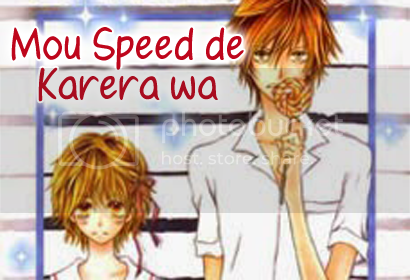 Mou Speed de Karera wa Ch 4 and of For Alice Ch 2!! !